For all aspiring violinists (and their parents) willing to practice hard to master focus, discipline, and the violin. Drawing from many years of experience in teaching the violin, as well as other areas of expertise, we have developed and integrated several interdisciplinary models into our teaching system at Soundpillar Academy. It combines the latest research and best practices found, not only in musical talent development, but also in the arenas of sports conditioning, general education, personal productivity, and even gaming. 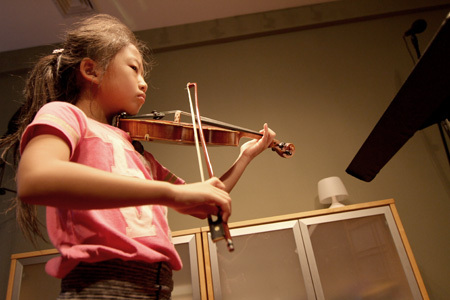 What does it take to grow a student from beginner to virtuoso? Excellent teaching is only a part of it. There are 3 other pillars that provide the proper support for a student to grown into mastery. The four pillars of Pedagogy, Practice, Persistence, and Performance make the foundational framework on which Soundpillar Academy students can stand and flourish. If you break down violin mastery into its component parts, you are left with a set of 9 to 10 basic skills that must be mastered in an order dictated by dependencies, building from foundational skills, up to the more expressional skills. We call it the Musical Aspect Stack, or the MASTA. Mastery as in Musical Aspect Tree or MAsTree, for short. It takes all the elements from the Musical Aspect Stack and logically orders them in an array of multi-branch progress paths for each aspect, each node represented by a skills test. Yes, gamers – it’s a tech tree for violin mastery. In the past, a violin student would receive his or her weekly assignments in a simple notebook. Given the limited time during a lesson, the teacher would only jot down a few simple instructions and that would be the end of it. At Soundpillar Academy, we understand the importance of simplicity so the student can focus without being overwhelmed. But we also understand the importance of equipping the student for his or her practice time at home, since that is where the majority of progress is made. Therefore, we provide our private lesson students with PEARLS after each session – that is: Practice Strategy, Evaluation, Assignment, Recordings, Lesson Log, and Schedule. What does an artist share with an athlete? At its most basic physiology, all talent and all ability come down to the development of muscle, muscle memory, and myelin. The myelin sheath of an expert artist or athlete has been built up around the specific nerves that enable that artist or athlete to do things that others can only dream of. There’s so much more to it than that and there have been a lot of books recently that cover this. But for our purposes, we realize that just as athletes condition their bodies to go faster, higher, and stronger (the Olympic motto in Latin – citius, altius, fortius), the violinist, too, must seek to go faster, higher, and stronger in their own way as well – through speed (tempo), precision (accuracy in intonation, rhythm, bowing), and power (expression, conveying a story or pure emotion). We even have our own Soundpillar motto in Italian – Precisamente, Accelerando, Espressivo (PAcE). “Juno has been an amazing teacher for our son. His incredible talent, knowledge and ability to encourage and lead by example has helped our son to progress beyond our expectations. Juno’s teaching style is direct and inspiring. When he teaches and critiques it is always with a sharp eye for excellence but given with kindness and a genuine interest in growth, constantly seeking to help our son to improve. We offer private, semi-private (2 to 3 students at a time), and group lessons (4 to 10 students at a time). Our teaching studios are located in West Windsor, New Jersey, near Princeton. 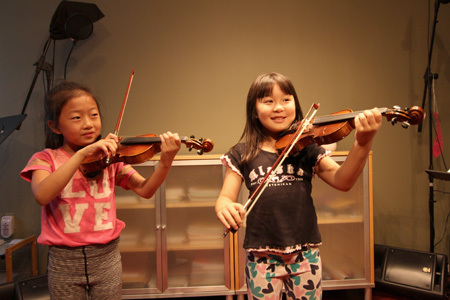 If you are interested in lessons for yourself or your child, please include in the Message area: the name(s) and age(s) of the prospective students, what type of violin lessons you are interested in (private, semi, group), and if there has been any prior experience with the violin or any other instruments. After we receive your email, we will get back to you as soon as possible. Thank you! “I had the fortune of being one of Juno’s first violin students over 15 years ago. From the start, I knew that he was unlike the other music teachers I had trained under. His wisdom on the violin is profound and his expectations of his students are as high as his patience is long. He always challenged me with assignments that stretched what I could do at the edge of my abilities. ... the trusted teacher of violinists. Accelerate learning the violin through monthly compilations of inspiring articles, videos, and podcasts that tackle every practical aspect of the violin. Free for all, both members and non-members of the Soundpillar Academy alike. Juno Suk is the Founder and Executive Director of Soundpillar Academy. He has over 15 years of teaching experience and nearly 40 years of performing experience, having performed at such venues as Carnegie Hall and as Concertmaster of various orchestras. In addition to his violin experience, he has also conducted choir for 10 years and composes music arrangements on the side. 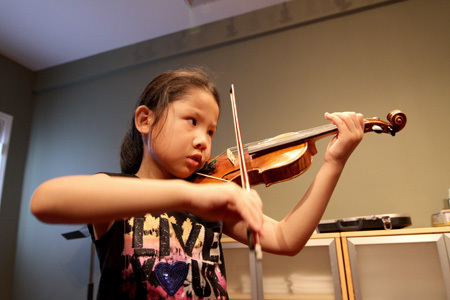 He studied violin under Mrs. Bette Dyer from Wheaton College, and Dr. Daniel Schuman from Rutgers University. Mr. Suk holds undergraduate and graduate degrees from the University of Illinois at Urbana-Champaign and Columbia University, New York City. Supercharge learning the violin through practice-inducing compilations of insightful articles, videos, and podcasts, all about mastering the violin, emailed to you monthly.